Seven free-standing combinations of cylinders, rectangular slabs, pillars and stepped structures of pink granite, speckled with white gray and black. Most of the surfaces are polished. 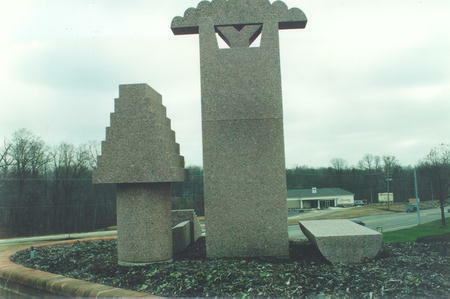 : Stuart Fink, “Northwoods,” Ohio Outdoor Sculpture Inventory, accessed April 20, 2019, http://oosi.sculpturecenter.org/items/show/666.